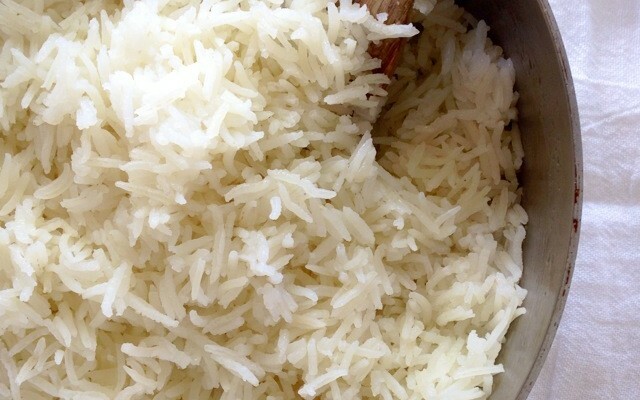 Basic white rice is surprisingly difficult to make. It’s either burned on the bottom, crunchy on the inside and mushy on the outside, or mushy all the way through. Or, it tastes like cardboard. Mmmmm, cardboard. I had all of those problems until a few years ago when my dad taught me this recipe. I posted a video of the recipe on my instagram today if you want to check that out; sometimes a visual helps! 1. Use basmati rice: I love Royal Basmati or Mahatma Basmati or really any basmati grown in India or Pakistan (noted on the package). Most domestically-grown rice has very high arsenic content, so I tend to stay away from those brands. Also, if you eat rice fairly often, definitely get the 10 or 20-pound bag; rice is much cheaper if you buy it in bulk. 2. Use a high-quality pot: A lot of people complain about rice burning on the bottom. To avoid this, use a pot with a thick base, like one made by Le Creuset, Chantal or All-Clad. (Related: TJ Maxx and HomeGoods often have great discounts on expensive pots!) If you use one of these pots and cook the rice following my dad’s method (20 minutes with a tight-fitting lid at a low simmer), burning should not be a problem. 3. Use a “heat-tamer” if needed: If you have a stove with an unusually hot fire (my dad and sister-in-law have this problem — the lowest setting is more like medium heat than low heat), try using a “heat-tamer” under your pot. This will reduce and disperse the heat, letting you achieve a nice, low simmer. 4. 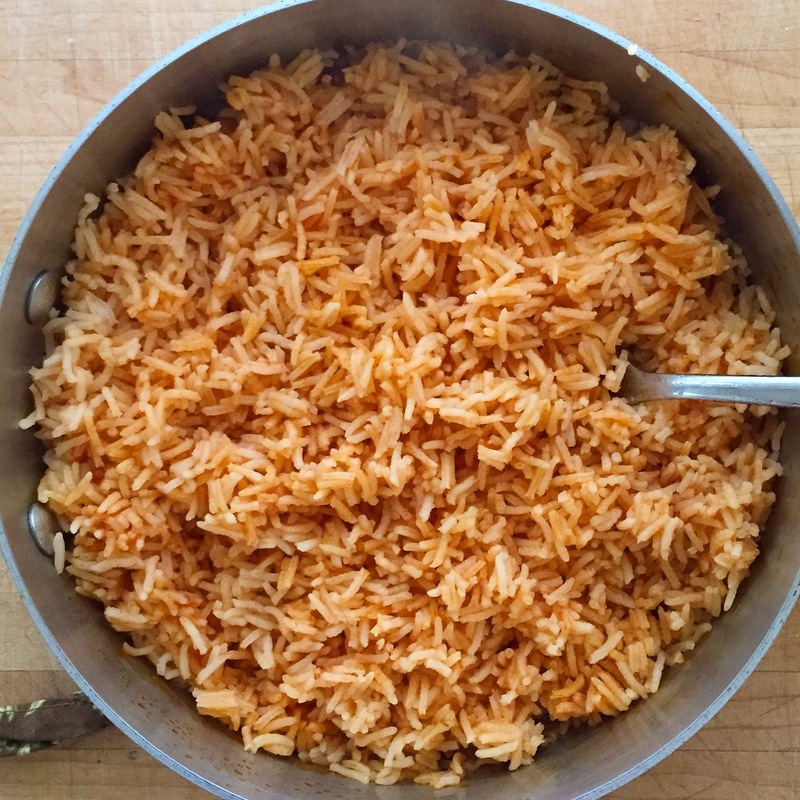 Leave the lid on: I know there’s a tendency to want to keep checking or stirring the rice while it cooks, but it’s best to leave the lid on during the entire 20 minutes. Also, make sure your lid fits on the pot well; you should not see steam escaping as the rice cooks. 5. Try half chicken broth: If you want to add extra flavor and nutrients, you can sub 1 cup chicken broth (or better yet, a nice bone broth) for 1 cup of water. In total, you’ll use 2 cups: 1 cup broth and 1 cup water. If the broth is already salty, then use a little less salt when you season the rice. 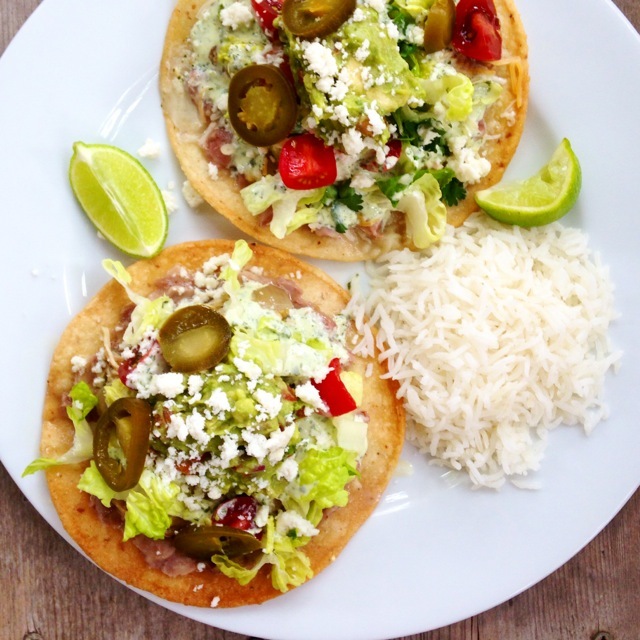 Once you get the basics down, you can also get creative with other flavors! 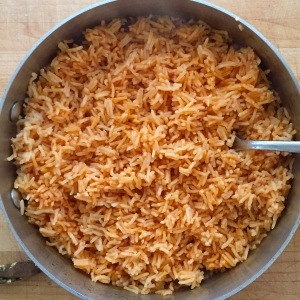 Mexican red rice is delicious (just add tomato paste and beef or chicken broth, see recipe for more details). Or try a pinch of turmeric, which gives a lovely yellow color and mild curry flavor. If you want to add peas (as we did in the image below), add 1 cup thawed frozen peas during the last 10 minutes of cooking. So, after 10 minutes of cooking the rice, just open the lid, pour in the peas, give everything a stir, replace the lid and cook for the remaining 10 minutes. The peas add a nice pop of color and lightly sweet flavor!